Kolkata: The state government of West Bengal received a shot in the arm with the Kolkata high court on Friday declaring the ongoing strike in Darjeeling, called by the Gorkha Janmukti Morcha (GJM), “illegal and unconstitutional,” reiterating its earlier stand on bandhs, or forced shutdowns. At least twice before—in 2013 and 2016—the court had slammed bandhs called by the GJM and called them illegal. On Friday, the division bench of judges Joymalya Bagchi and Arun Mishra asked the state government to make sure that transport and other essential services were not disrupted, and bandh supporters did not force people to stay at home. The judges also directed the state government to assess and submit a report within two weeks on the loss to public and private property since the agitation by the GJM started last week. 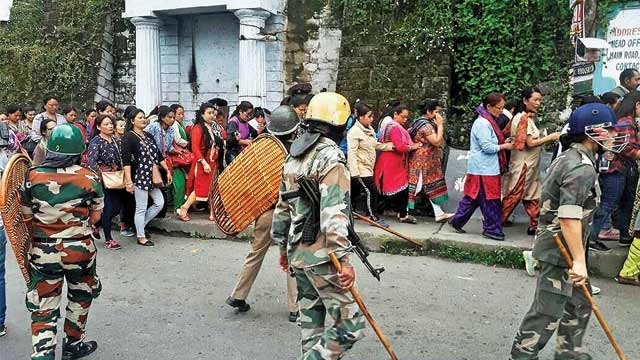 A day after the GJM turned its partial strike into a general strike following a police raid on the home of its president, supporters of the party vandalised and set ablaze a few government offices on Friday, even amid tight security arrangements across Darjeeling district. The army, which was called in last week, remained on standby, a spokesperson for the Eastern Command said, but denied reports that the state had asked for further reinforcements. Three columns of defence personnel stood guard outside the home of Bimal Gurung, GJM’s president, where the police conducted a raid on Thursday and claimed to have unearthed several arms and explosives. Both GJM and the Trinamool Congress supporters took out rallies in different parts of the district, but there were no reports of violence. The Gorkha National Liberation Front (GNLF), which was an ally of the Trinamool Congress until recently, on Friday said the movement for Gorkhaland was no longer led by one party. It had become a mass movement, the GNLF said. As ordered by the Calcutta high court, the state administration on Friday took further steps to tighten policing. It ordered seven senior police officers from the state to head for Darjeeling. 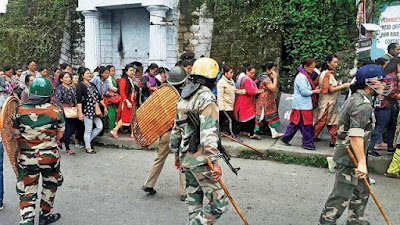 The state has already changed the superintendent of police for the district, and has assigned three top officers—senior to the ones deployed on Friday—to restore peace in Darjeeling. Chief minister Mamata Banerjee had said on Thursday that an “intelligence failure” had led to the flare-up last week, and that the Gorkhas had hatched a conspiracy to launch an attack on ministers and top bureaucrats. The GJM has said that the state administration was trying to discredit its peaceful movement by bringing trumped up charges against its top leaders and by provoking its supporters to take to the path of violence. The state government of West Bengal received a shot in the arm with the Kolkata high court on Friday declaring the ongoing strike in Darjeeling, called by the Gorkha Janmukti Morcha (GJM), “illegal and unconstitutional,” reiterating its earlier stand on bandhs, or forced shutdowns.